This entry was posted on November 8, 2011 at 7:20 pm and is filed under Adventure, Animation, Comedy, Family with tags 2011. You can follow any responses to this entry through the RSS 2.0 feed. You can leave a response, or trackback from your own site. I got a kick our of this movie. Just a fun ride. I laughed quite a bit, and enjoyed all the characters. I’m also a sucker for Puss’ big, sad eyes. Nice review, Mark! But I’ll be avoiding this one. I really don’t like Shrek or anything related. I love the Shrek movies, and (not counting the third and fourth) they are the only animated family films I will gladly watch over and over. 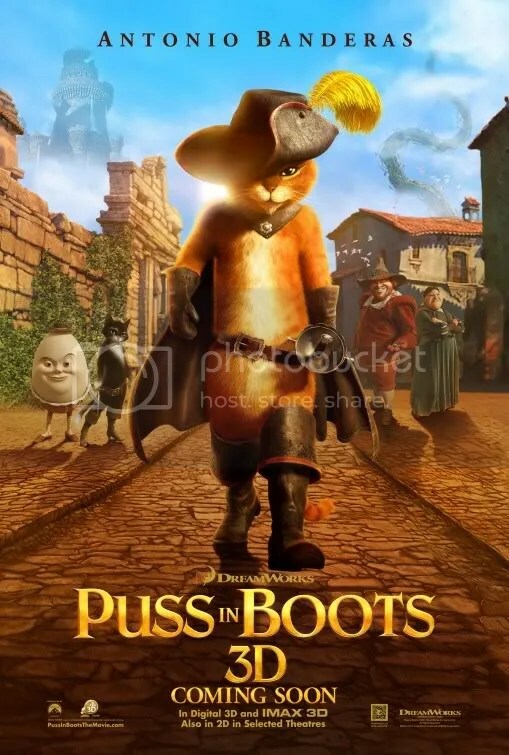 I have continually stated that I would go see Puss in Boots, but every time I try to make a plan, something holds me up. Like with all Shrek films, I’ll be sure to buy it as soon as it comes to DVD. Great review!